The report from the CBI has just been released and if it were a school report it may read 'could do better'! However, I feel there is a need to look at the long to mid term. The government is developing a modern industrial strategy that widens the focus of its devolution agenda, a clearer picture of the infrastructure needs of each part of the country. Connections with international markets: Firms recognise, more than ever post Brexit, the need to link the whole of the UK to international markets to increase and encourage export capabilities. CBI members across all regions emphasised the need for long-term strategies for aviation and ports within a fully integrated transport system. Joined up infrastructure: All regions highlight a need for a more joined up and strategic approach to planning and delivery across the different types of infrastructure. In particular, the need to better link up local housing plans with economic infrastructure is a priority, with CBI members also keen to prioritise the role of technology in improving the UK’s infrastructure. All very valid points that will take time, we should see short-term improvements on certain topics but a lot of this change takes time not to mention costly. If all of the points are delivered it will be worth waiting for I'm sure. Let's hope the next school reports shows 'encouraging signs of improvement' as a minimum. 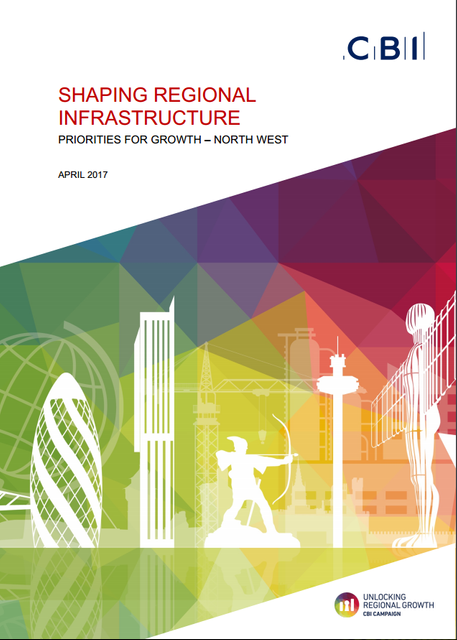 The survey conducted for the regional infrastructure report showed that while 46% of businesses nationally were unhappy with infrastructure, the figure was much higher in the North West. Only 19% of companies said infrastructure has improved in the last five years, 88% identify broadband as a problem and 76% believe greater devolution would improve infrastructure.